Italy coach Giampiero Ventura's ambitious 4-2-4 system is losing its appeal among Italy supporters following 3-0 mauling by Spain and Tuesday's nervous 1-0 win over Israel in the World Cup qualifiers. 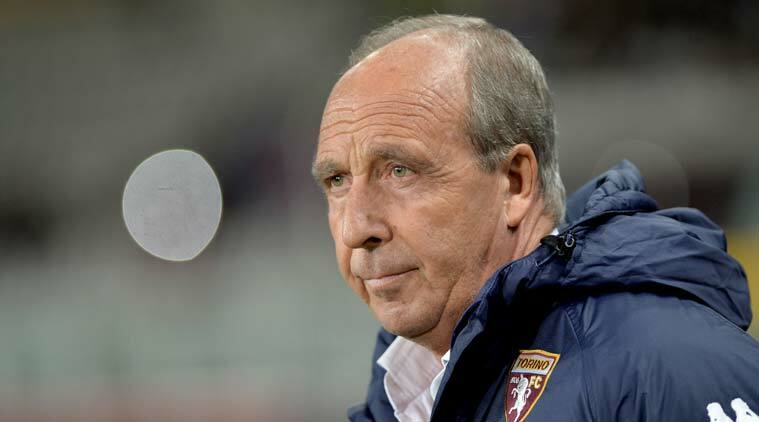 Italy coach Giampiero Ventura’s ambitious 4-2-4 system is losing its appeal among Italy supporters following Saturday’s 3-0 mauling by Spain and Tuesday’s nervous 1-0 win over Israel in the World Cup qualifiers. The 69-year-old is regarded as one of Italy’s most innovative coaches and his decision to introduce the 4-2-4 formation he used in his club career was initially greeted with mild curiosity by the fans and media alike. That turned to apprehension when he deployed the system in their crucial Group G qualifier away to Spain last Saturday which saw Italy overrun and outclassed in a 3-0 defeat. Undeterred, Ventura stuck with it on Tuesday, fielding Marco Verratti and Daniele De Rossi in the centre of midfield, Antonio Candreva and Lorenzo Insigne as wide attackers and Ciro Immobile and Andrea Belotti in the centre of the forward line. But, with little movement from the strikers, Italy produced a sluggish first-half display and were jeered off at halftime as they failed to make any inroads into the packed Israel defence. They improved enough after the break to secure the three points but not to convince the public or the media that the system was working. Italy remained second in the table and, unless leaders Spain suffer an unexpected slip-up in their final two games, their fate is now likely to be determined over a treacherous and nerve-wracking two-leg playoff in October. There is even talk of Italy failing to qualify for the World Cup for the first time since 1958. Italy’s veteran goalkeeper Gianluigi Buffon said the supporters did not have the patience for a slow build-up. Verratti also complained about the whistles from the crowd. “It’s never easy in international football, you just have to look at France who drew with Luxemburg on Monday,” he said. Ventura, who until last Saturday had been credited with phasing in younger players and bringing down the average age of the team, remained unflustered by the criticism. “When you don’t score fans can get disappointed, but if you want to be a team you can’t pay attention to applause or jeers,” he said.